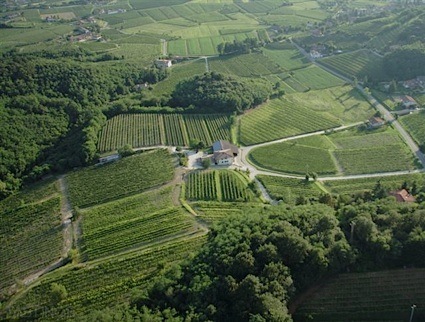 Bottom Line: An interesting savory white blend sipper. 81 • Lake Sonoma 2014 Sauvignon Blanc, Sonoma Valley 14.1% (USA) $23.00. 85 • Lake Sonoma 2014 Pinot Noir, Sonoma Coast 14.4% (USA) $45.00. 87 • Lake Sonoma 2013 Pinot Noir, Sonoma Coast 14.4% (USA) $.00. 85 • Lake Sonoma 2014 Zinfandel, Dry Creek Valley 15.1% (USA) $32.00. 89 • Lake Sonoma 2015 Chardonnay, Russian River Valley 14.6% (USA) $30.00. 85 • Madrone Estate 2015 Sauvignon Blanc, Sonoma Valley 14.3% (USA) $22.00. 88 • Madrone Estate 2012 Old Vine Stewart Family Reserve, Zinfandel, Sonoma Valley 15.6% (USA) $65.00. 88 • Madrone Estate 2013 Estate Grown, Barbera, Sonoma Valley 14.9% (USA) $40.00. 89 • Madrone Estate 2014 Estate Grown, Sangiovese, Sonoma Valley 14.6% (USA) $35.00. 86 • Madrone Estate 2014 Old Vine Estate , Zinfandel, Sonoma Valley 15.6% (USA) $35.00. 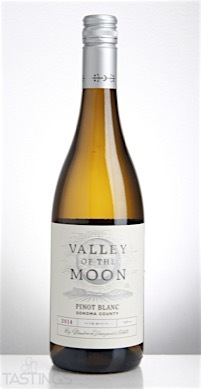 85 • Valley of the Moon 2014 Pinot Blanc, Sonoma County 14.4% (USA) $19.00. 92 • Valley of the Moon 2014 Pinot Noir, Carneros 14.7% (USA) $25.00. 91 • Valley of the Moon 2013 Zinfandel, Sonoma County 14.7% (USA) $20.00. 87 • Valley of the Moon 2013 Pinot Blanc, Sonoma County 13.9% (USA) $.00. 88 • Valley of the Moon 2013 Pinot Noir, Carneros 14.3% (USA) $.00. 88 • Valley of the Moon 2012 Zinfandel, Sonoma County 15.1% (USA) $.00. 88 • Valley of the Moon 2015 Bright Side of the Moon, Pinot Blanc-Viognier, Sonoma County 14.1% (USA) $19.00. 89 • Valley of the Moon 2015 Chardonnay, Sonoma Coast 14.7% (USA) $21.00. 85 • Whitman Express 2014 Pinot Blanc, Sonoma County 14.5% (USA) $.00. 91 • Whitman Express 2012 The Conductor Red Blend, Sonoma County 14.5% (USA) $.00. Valley of the Moon 2014 Pinot Blanc, Sonoma County rating was calculated by tastings.com to be 85 points out of 100 on 4/10/2017. Please note that MSRP may have changed since the date of our review.